August 2015 - Notes from D.J. This hymn reminds me that our calling is not just to find God, or to enter into a spiritual Kingdom after death, but to bring forth that Kingdom here and now. In Mark, Jesus proclaims, “The Kingdom of God is at hand!” The Cmmon English Bible translates this verse even more clearly: ““Now is the time! Here comes God’s kingdom! Change your hearts and lives, and trust this good news!” If the Kingdom is “at hand,” that means we can reach out and touch it. It is here already. We can reach out and touch it. Or, more to the point, we can choose to be part of it. Can we imagine such a society? Could I possibly look at the after-tax money I take home not as “mine,” but as “God’s”? Jesus and the Apostles did. I’ve met people who believe that it is not the government’s role to help the poor, but that of individuals. Some, like Dorothy Day, founder of the Catholic Worker organization, took radical action to do so. She and her followers lived in poverty so that they could help the poor. But others talk of personal responsibility while doing little themselves to feed or clothe those in need. The Kingdom is not just about making sure those in need have their needs met. It is about belonging, about celebrating faith together. Not everyone in the early community believed the same, as can be seen in the different approaches of John and James, and Paul’s conflicts with both. Yet there was a sense of wholeness, of being filled, that seems sorely lacking in modern America. “Bring Forth the Kingdom” is a reminder that a society in which we don’t need government to help the poor requires a massive transformation on our part. It is a reminder, too, that Jesus calls us to just such a transformation. He asks us to help establish the Kingdom of God right here, right now. He offers us the opportunity to join together as family, loving and being loved, helping and being helped. I, for one, find that a worthwhile goal. This is the second sermon given by fictional Pastor Jason in the forthcoming novel , Steve’s Grace. I hope you enjoy it. He raises his hand, and almost everyone in the congregation raises theirs. I do, and Cindy quickly follows. “It is impossible to be human, and make all the right choices,” he says. “That’s the nature of the free will we have been given. Sometimes, we choose wrong. And when we choose something other than what God wants us to do, that’s sin. It is falling short of God’s desire for us, and our duty to serve Him. “How many here have made a really, really bad choice at some time in their life?” he asks. Several hands go up. Mine is one of them. “How many have made a really bad choice in their life but don’t want to admit it?” he asks, chuckling. Another hand goes up, but most do not. “That’s okay,” he says. “You don’t have to admit it in public, or even to me. But sooner or later, you have to admit your sin to yourself, and to God. “Why do you have to admit it? Because until you do, there can be no redemption. If you don’t admit you did wrong, you can’t be forgiven. “Think about it, people,” he says. “If I steal your wallet, and I deny I did it, can you forgive me? Of course not. You’re not even sure who took it! “Suppose I come to you and say, ‘Hey, Bob, I stole your wallet and I know it was wrong and I’m asking for your forgiveness.’ Now you have the option of forgiving me. And it is an option. You don’t have to forgive me. Unless, of course, you happen to be a Christian, in which case Jesus tells us that we can only be forgiven for our sins if we forgive the sins of others. “And that right there is the formula for being forgiven,” he says. “You have to admit your sin and ask for God to forgive you. 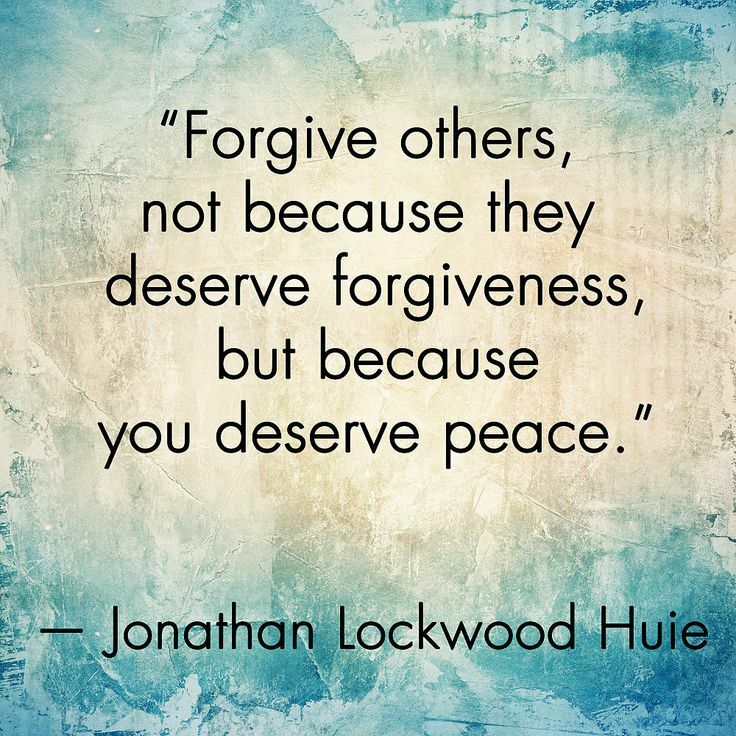 And you have to forgive the sins of others. “But what if you’ve done something really awful? I know a man who committed murder. Because of the circumstances, he was never arrested or tried by the law. But he did it, and he knew it was wrong. Now, the Bible says the penalty for murder is death. If he asks God to forgive him, will God do it? “Yes! Because Jesus gave his blood so that those who repent might be saved. “And that man did ask for forgiveness, and he repented, and now he lives his life according to what he believes God wants him to do. He helps people. And he does it not so he can be a good person, but because he wasn’t a good person and he owes a debt to God that can never be repaid. “Every one of us is a sinner,” he continues. “Every one of us owes a debt for God’s forbearance. Because God sent his only son Jesus to die for us. What an amazing gift that is! Jesus gave his life so that we can be redeemed from our sin. “And it is a gift. But when someone gives you the gift of life, don’t you feel just a little bit obligated to them? Maybe grateful? And wouldn’t you want to live your life in a way that expresses that gratitude? “A wise man once said that mercy is not getting what you deserve, and grace is getting what you don’t deserve. I look at my life today, and I am struck by the mercy and grace of God. I am a sinner. But I have not gotten what I deserve for my shortcomings, and I have gotten so much goodness in my life that I don’t deserve. “We fall short, but God forgives us. We do bad things and God forgives us. We don’t do some of the good things we should do, and God forgives us. “Can anyone relate to that? If so, I want to suggest that when you leave church today, you find a way to express your gratitude to God. Because, I don’t know about you, but my life is better today than I have any right to expect. This is the first of two fictional sermons given by fictional Pastor Jason Schumer in the forthcoming book Steve’s Grace. If I could actually preach like this, I would become a minister! I hope you enjoy it. “When I was a kid, my mother said to me, ‘Stay away from those Catholic kids. They don’t go to the right church.’ Then my father said to me, ‘Stay away from those Jewish kids, because they don’t go to any church at all!’ Both of them thought that if I only hung out with kids who went to the same church as I did, I would grow up with better standards. “You know, peer pressure is very strong, and I think that’s what my parents were counting on. If my peer pressure came from good kids, they figured I would learn good behaviors. So I hung out with kids who went to my church, and I did what they did. “And both my buddy and the neighbor girl went to the right church!” he shouts. Everyone laughs. He has our attention as he delivers a sermon about how we are all sinners, and we are all God’s children, and he loves every single one of us. “God doesn’t love Catholics more than Baptists, or Baptists more than Catholics,” Jason pronounces. “I’ve got news for you. He doesn’t even love Christians more than non-Christians. Everyone laughs, and I gather Jason must be an avid and vocal surfer. “We’re not here to make sure God loves us,” he says. “At least, I hope that’s not why we’re here. No, my friends, we are here to be reminded that as Christians, as people of God and followers of Jesus, that we are commanded to love everyone else! He pauses, and rolls his eyes..
“If it was up to me, I’d have loved that guy right off the side of the road! But that’s not what Jesus says to do. “He didn’t see you,” someone suggests. “He was having a bad morning,” says someone else. “He doesn’t like surfers,” someone shouts. “You get the point, right?” he says. “I don’t get to hate anyone, no matter what they do to me. Jesus says if someone sues me for my coat, give him my cloak, too. If they want me to walk a mile with them, walk two. “How hard is it to look at someone who just cut you off in traffic and say, ‘I’m sorry you’re having a hard day, and I hope it gets better’?” he asks, loudly. “Hard,” shout several people at once. “How hard is it to see someone doing something you don’t approve of and forgive them for it and love them anyway?” he shouts. “How hard is it to forgive someone who hates your guts and love them anyway?” he calls. He pauses again, and his voice softens. “How hard is it to be a Christian?” he asks. They seem to know this one is rhetorical, because no one answers. We sing another hymn, and there are announcements. Then Jason stands again.